When it comes to getting into a versatile vehicle that can save you money and fuel and still fulfill all of your driving needs, compact SUVs are the best option. 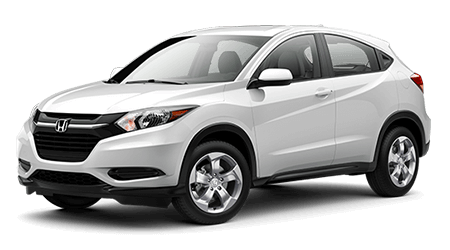 At Freeman Honda in Dallas, TX, we’re delighted to have the 2016 Honda HR-V in stock for drivers from Cedar Hill, Desoto, and Waxahachie, TX to test drive. Our dealership has served Midlothian, Lancaster, and Ovilla, TX for a number of years with a large collection of Hondas. Stop by Freeman Honda at 39680 IH 20 East and explore the new HR-V today. There’s a lot of competitors in the compact SUV segment, so let’s see how the 2016 Honda HR-V does against the Chevrolet Trax. One of the benefits to purchasing a compact SUV is their affordable price tag. The HR-V starts at $19,115*, while the Trax has a MSRP of $20,120. That’s an initial savings of $1,005 in favor of the HR-V! With the HR-V’s lower price tag, the compact SUV is the better bang for your buck out of the two compact SVUs. Compact SUVs are recognized for their ability to tackle a variety of driving situations with ease. If you appreciate having extra interior space, then the new HR-V is the vehicle for you. The HR-V possess more front legroom, rear legroom, front hip room, front shoulder room and rear shoulder room than the Trax. If you’ve been looking to get into a capable compact SUV that you can use every day, then the 2016 Honda HR-V is the vehicle for you. 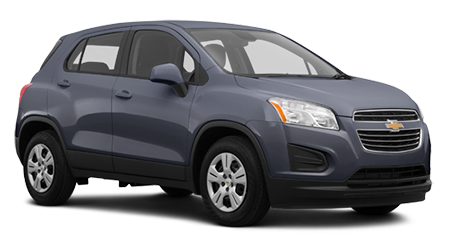 When comparing the HR-V against the Chevrolet Trax, the Honda has the edge with its more affordable price tag, powerful engine and spacious interior. Stop by Freeman Honda in Dallas, TX at 39680 IH 20 East, close by Red Oak and Glenn Heights, TX, and discover the HR-V today. *MSRP excluding tax, license, registration, $880.00 destination charge and options. **25 city/34 highway/28 combined mpg rating for 6MT models. 28 city/35 highway/31 combined mpg rating for 2WD CVT models. 27 city/32 highway/29 combined mpg rating for AWD CVT models. Based on 2016 EPA mileage ratings. Use for comparison purposes only. Your mileage will vary depending on how you drive and maintain your vehicle, driving conditions and other factors.